Breaking News out of Dominica tonight. 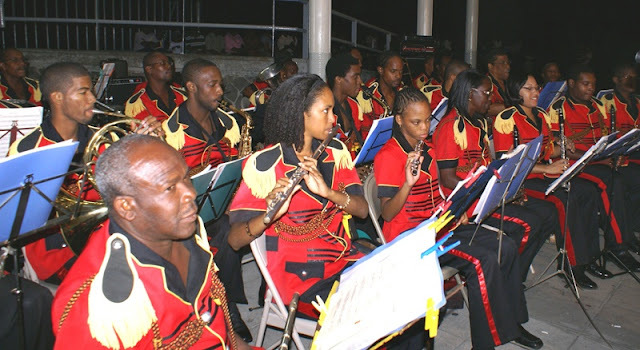 I have been reliably informed that the Music Lovers Government Band is scheduled to be dispatched to the Melville-Hall / Douglas-Charles Airport next Tuesday, March 1st, to be part of a Guard of Honor welcoming home newly-minted Doctor the Honourable Roosevelt Skerrit, conquering hero of Dominica. It's not funny. I'm waiting for further details that I may be able to share with you. In the meantime, we're hoping the good people of Marigot find a way to welcome Doctor the Honourable Roosevelt Skerrit in a manner not unlike what was visited upon former prime minister Patrick Roland John in 1979.